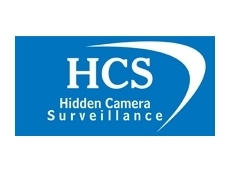 In this series, we have discussed a range of innovative surveillance cameras and security systems from HCSS , all of which are designed to provide a cost effective means to protect industrial sites from unauthorised access, vandalism and theft. Most of these systems are 'standalone' solutions, and can operate and record footage without the need for additional equipment. 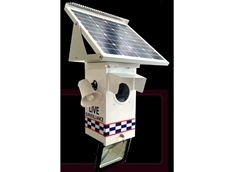 When monitoring vehicles and other mobile property, however, it is not always practicable to install such a system, so often a solution is employed that utilises a number of CCTV cameras connected to a Mobile Digital Video Recorder (MDVR) system. Designing a DVR system that is appropriate for mobile use presents some challenges. Foremost, the system needs to be able to cope with the bumps and vibration of constant movement. Further, if employing a HDD to record footage, a sufficient backup system often needs to be put in place to ensure that the HDD does not fail under this constant movement. Another important consideration, and one that applies to DVR systems more generally, is the quality of footage the MDVR is capable of capturing. As HCSS notes, there are two factors that can affect the overall quality of surveillance footage. One is the quality of the DVR recorder, while the other is the camera resolution. 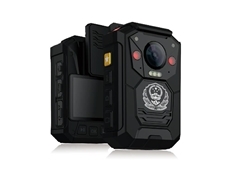 There is no point in using a high quality DVR system with low resolution CCTV cameras, and by the same token, using high resolution cameras with a poor quality recorder is equally counter-productive. HCSS's mobile network DVR systems address all of these concerns. Designed to withstand constant vehicle vibration, they feature a rubber mounting base and alloy housing. As for reliability of the recording medium, X3 systems have an internal removable 2.5" HDD that is key locked in the housing. For more demanding applications, HCSS also offers the X11 system, which is supplied with SD backup memory. This feature ensures that in the event of HDD failure, the internal memory will take over and continuously retain at least two hours of footage. Known as 'Mirror Recording', this function could be critical in the event of severe impact damaging the internal HDD. HCSS notes that many MDVR suppliers use older compression codecs to store footage, such as MPEG4 or MJPEG. X3 and X11 systems, on the other hand, utilise the more efficient and higher quality H.264 codec to store footage, which results in lower HDD storage requirements (40% less than MPEG4). An added advantage of this reduction in storage is the ability to wirelessly network and stream video footage via 3G. Engineered with networking in mind, HCSS's MDVR systems allow operators to remotely view video footage at near real time over standard wireless 3G networks, as well as play back recordings and adjust settings with no interruption to system recording. 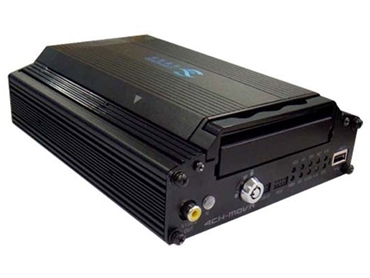 Optional hardware items these mobile DVR systems include a GPS that records parameters such as coordinates, speed, heading and altitude in sync with the video. As climate will also play a role in MDVR and HDD reliability, a built in heater for cold regions can be supplied to maintain optimum performance. the ability to enable/disable individual video channels as required.